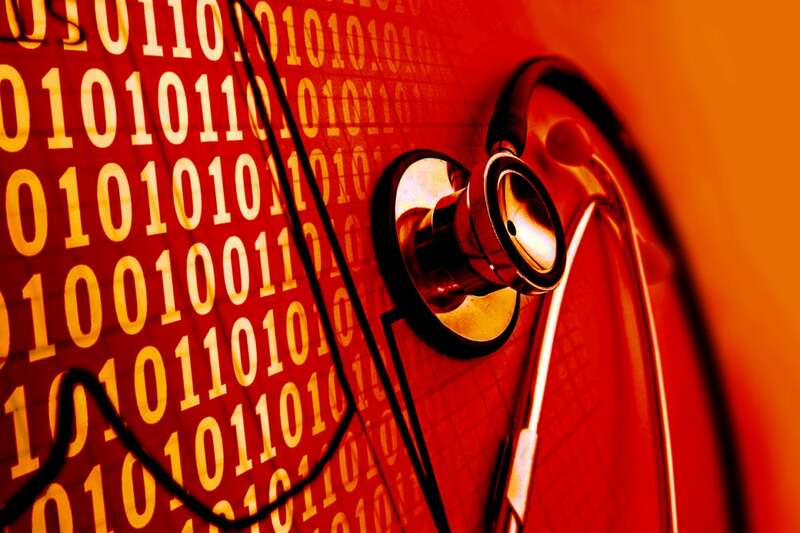 Artificial intelligence (AI) and machine learning can speed up healthcare research, but data scientists need turnkey tools such as NVIDIA DGX Station to be more efficient. There should be no question that the world sits on the precipice of a major sea change where artificial intelligence (AI) and machine learning (ML) will be as pervasive as air and infused into our lives, similar to the way the Internet has. AI can analyze information, find anomalies and make informed decisions faster than people can and will be an important tool to help us do our jobs better. However, the adoption of AI varies widely by vertical. One of the industries that has embraced AI is healthcare, as it can have lifesaving consequences. A great example of this is the work that the Boston-based MGH & BWH Center for Clinical Data Science — a collaboration by Mass General Hospital (MGH) and Brigham and Women's Hospital (BWH) to create, promote and commercialize AI for healthcare — has been doing to accelerate the process of analyzing magnetic resonance images (MRIs). DGX Station can be thought of as a desktop-size, GPU-enabled super-computer. 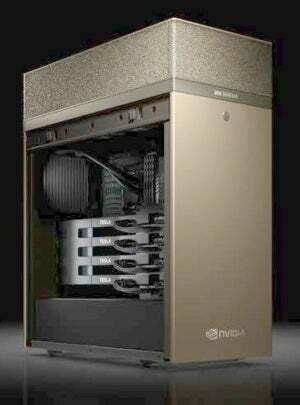 The primary AI platform from NVIDIA had been the DGX-1, a rack-mountable server that holds eight NVIDIA Tesla V100 GPUs. The challenge with a data center-housed server is that a data scientist would need to work with IT to have the DGX-1 provisioned for that particular task. This usually creates a lag time that could get in the way of the researcher being able to analyze data and conduct deep learning experiments. DGX Station is a portable, workstation form factor that is powered by 4 Tesla V100 GPUs. Although the form factor is compact, the compute power of a 4 GPU system is the equivalent to approximately 400 x86 CPUs, making DGX Station ideal of computationally intensive processes such as AI, machine learning and data analytics. The mission of the group Tenenholtz works for is to develop AI-based models specifically for radiology and integrate them into the radiologists' clinical workflow. Successful models can be licensed to external partners or spun out and commercialized through startup, so they may be used by hospitals all over the world. At a high level, the center is trying to prove that AI-based models can improve radiologist and physician efficiency by being faster and more efficient than when the analysis is done manually. It’s important to understand that AI isn’t being used to replace the clinicians, but rather be another tool for the next-generation radiologist. The current project the DGX Station is being used for is a brain “GAN” for MRIs. A GAN is a “generative adversarial network,” which is a class of AI algorithms used in unsupervised machine learning that consists of two components: The generator creates synthetic images, and the discriminator evaluates them to determine if they are real or not. Both components can potentially be highly valuable. In the CCDS use case, the generator creates synthetic brain MRIs, and the discriminator evaluates them. Tenenholtz explained that the goal of the GAN is to train the two systems in parallel. Over time, the generator will become more accurate in creating synthetic brain images that can be used to augment the training set of tumor segmentation algorithms. On the other hand, the discriminator, which learns to detect brain-like features, can be leveraged in future applications of “transfer learning,” a process where an algorithm trained on one task can be applied to another with fewer training examples than is normally required to train the algorithm de novo. Therefore, the discriminator could potentially be used to detect other, more rare brain abnormalities. Without the availability of a pre-trained model, tens of thousands of images would need to be analyzed. With it, the number can be reduced significantly. I asked Tenenholtz about the benefits of using DGX Station, DGX-1 or another computer with GPUs in it, and he explained the rationale of using DGX Station. MGH currently has four DGX-1 servers in their data center, but one of the challenges with a hospital-wide resource is getting time on the system. He admitted although the work they are doing is important, it wouldn’t have priority over a number of hospital systems. And that could create delays in moving the project forward, so it became clear they wanted a dedicated resource. They could have used a small server with 4 NVIDIA GPUs in it, but the communications between the processors is handled over the PCI express bus, which can get overwhelmed by the volume of data being passed over it. DGX Station has a proprietary connectivity interface called NVIDIA NVLink that decouples the GPUs from the PCI express slot to make data transfer faster. One of the challenges with GPU computing is feeding the GPUs enough data to process and keep them utilized. NVLink won’t get saturated and bog down like PCI will. The other benefit is that everything is preconfigured and optimized, and the software and applications are tuned to the hardware. There are no drivers to installs or version of things to update. As an analyst, I have seen technology waves come and go. Many years ago, the IT industry was dominated by hardware platforms. Over the past decade, “software innovation” has become the new black. I believe we are reaching a point where specialized hardware with optimized software is what’s required to move us into the AI age. Web-scale companies like Google and Amazon have teams of people to take software and run it on commodity hardware to ensure its performing optimally. Organizations such as MGH do not have the resources to take this approach and need tools like DGX Station that just work, so they can get to work.